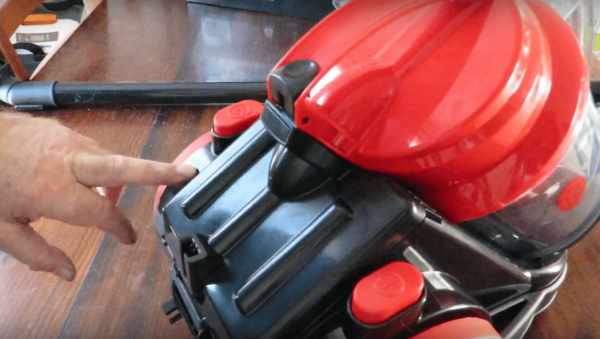 This inexpensive SCA Bagless Vacuum Cleaner with Cyclonic action, is remarkable, considering it is under $100 to buy one. The vacuum pressure for such a small machine is truly amazing. I really did not expect this vacuum cleaner to perform so well. My YouTube video above showing the SCA SCA Bagless Vacuum Cleaner in action. After receiving this small lightweight vacuum cleaner, I decided to run it through a series of tests, just to see if I could use it in my caravan. WOW this thing has an amazing cyclonic cleaning action and it easily passed all my tests, In fact it is so good my wife wants to use it in our house. The tests I tried was on normal carpet, timber flooring, and our lounge suite. Needless to say it passed all my tests easily For such a small unit, it is incredibly powerful, and I highly recommend it for those of you looking to get a really good and inexpensive Vacuum Cleaner, either for your Caravan or house.